Stripers caught using anchovies in the lower bend area. 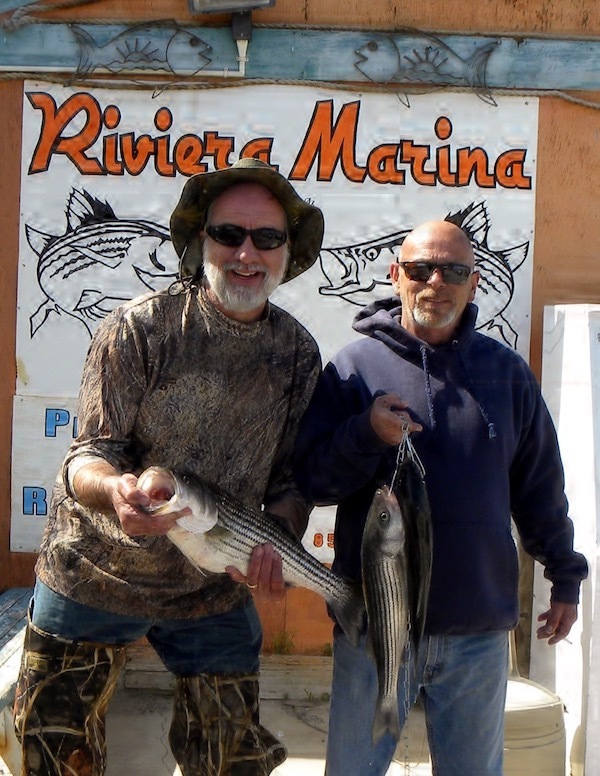 Our striper bite is picking up we have our local anglers Tom Gallant and Steven Baird showing off their catch. They were fishing from Toms boat using anchovies in the lower big bend area. 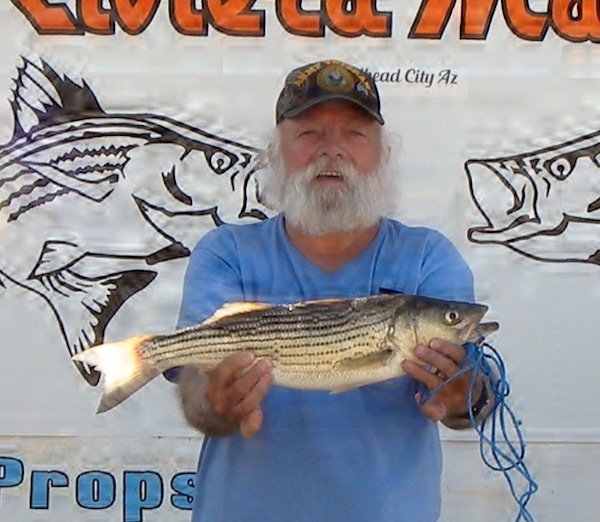 The larger striper weighed in at 6.36 pounds and 26 and 3/8 inches. The reports of striper are coming in regular now. 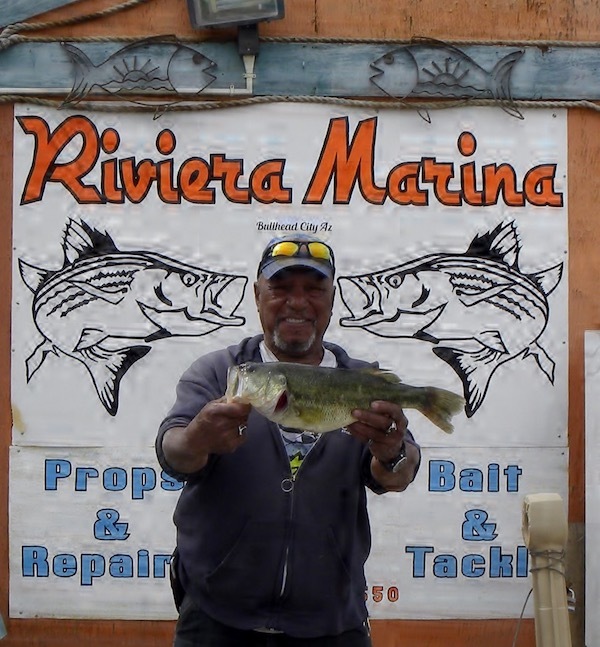 Our weather is getting better and allowing more anglers out and about. We did get an extra trout stocking this week so trout are just all over the Colorado river here below the Davis Dam. Usually the rainbow trout seem to move out from the stocking sites a day or so after the plant, which means it is a good practice to move around the shore line to find a spot where the trout have hold up. One more tip that might help you need to try various spinners and different colors of power bait. I heard that on Wednesday it was the green.